Join us for a day of office interior inspiration at Lokomotivvaerkstedet in Copenhagen. GRID will be part of our UK Representatives Icons of Denmark’s exhibition during Clerkenwell Design Week in London. Where to find us? Icons of Denmark’s showroom: 1-2 St Johns Path, Clerkenwell, London, EC1M 4DD. See more on Icons of Denmark’s exhibitor page on www.clerkenwelldesignweek.com. Together with our Dutch Representative Lunaterra Design, we are participating at Design District in Rotterdam. Join us for three days dedicated inspiration for interior professionals in various branches. Where to find us? Lunaterra Design’s showroom: Engelsmanplaat 3, 3524AZ, Netherlands. EuroShop is the world’s largest retail trade fair focusing on the future trends. During the fair we will show how innovative, inspiring, and customer-focused retail interior can be designed by use of the modular GRID system. Follow us on Pinterest, Instagram and LinkedIn. GRID will be exhibiting at the leading event for Scandinavian design. With its elegant, minimalist and industrial look the GRID system is the epitome of Nordic design. Furthermore, the adaptability of GRID gives its user the freedom to design a cohesive interior system with multiple functions; a room divider, a counter, a display unit, a bench, a wall, storage or an art installation. GRID brings functio­nality and elegance into any space. Save the dates for five days of office inspiration. 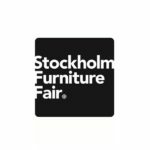 View our exhibitor profile on Stockholm Furniture Fair’s homepage. See our Stockholm Furniture Fair 2019 blog post here. GRID is participating in the leading international trade fair for the modern working world. Here we will be launching new products, displaying versatile ideas for office configurations and showing you how GRID can conquer the challenges of any corporate work space! With the main fair theme ‘culture@work’ and the focus on how freedom, structure and collaborative environments can be given equal space, the adaptable and durable GRID system is in the right company at Orgatec. Mark your calendar for five days of inspiration and innovation. See our Orgatec 2018 blog post here. GRID will be returning for this year’s Designjunction. With the exhibition theme of inclusivity and #designevery, GRID is exploring through multiple configurations how the future workplace can fully support a global workforce – in collaboration, inspiration; wellbeing and comfort. With GRID now fully integrated into 3D models, users will be able to walk around the stand in a virtual showroom of the GRID system, exploring new structures and new environments. GRID is participating at the EuroShop Fair in Düsseldorf, Germany 5-9 March 2017 and we are delighted to invite you to join us. You will find us at the GRID stand no. 12B20 where we will exhibit GRID configurations suitable for retail and shop-in-shop concepts. See our EuroShop 2017 blog post here. Stockholm Furniture Fair is the leading Scandinavian design festival and at the fair we will showcase how GRID’s well-defined structure can be transformed into elegant and functional interior solutions, perfect for corporate spaces. See our Stockholm Furniture Fair 2016 blog post here. See our Designjunction 2016 blog post here. February 2014 we are heading to the top leading international retail fair trade where we will show architects and shopfitters how store interior and architecture can meet to create the best customer experience.